This Quadra sink tap makes a statement, despite its S-Size format and showcases your bold taste. Its smooth body (tap housing without stop or pull-waste) and the protective shine of the GROHE StarLight chrome layer, make the tap a striking appearance which also performs optimally. The tap has been outfitted with GROHE SilkMove, which allows you to operate the handle smoothly and evenly and which makes it possible to adjust the water volume. 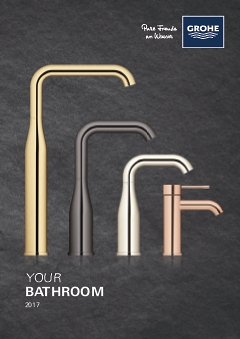 Thanks to the flexible connection hoses and the quick installation system, it is possible to install the tap easily and quickly.